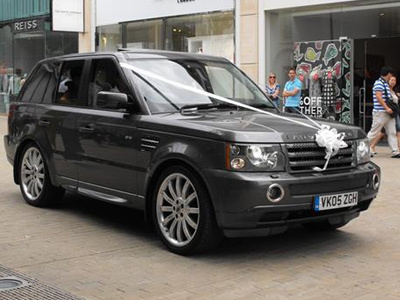 Arrive in style with a White Diamond Chauffeur. 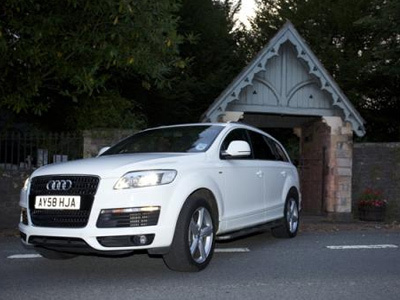 For a glamorous day out, an executive arrival or a stunning wedding car, White Diamond Chauffeur’s gorgeous white Audi Q7 and stylish female chauffeur ensure that you get the luxury you deserve. 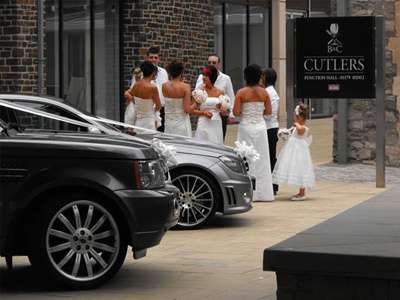 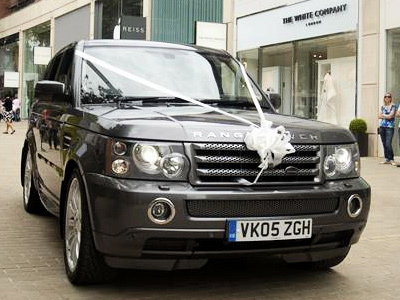 Your 7 seater luxury vehicle promises more than just a grand entrance, the luxury treatment continues with free soft drinks and canapés, free champagne for wedding parties and lunch on request. 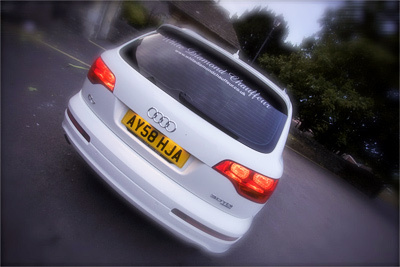 Contact White Diamond Chauffeur today for a free quote.